We love ping pong at our house. In fact we love ping pong so much, that we threw convention to the wind and moved our ping pong table into our front room. Why, you say? Since I’ve started homeschooling, I’ve become more utilitarian in my approach. We never used that room. It may not be pretty, but now we’re playing ping pong. My son even set up a tournament schedule. So far, my kids haven’t beaten me yet, but I have a feeling that I won’t be undefeated for long. Practice, competition and flexibility improve our ping pong and writing skills. Practice: There’s nothing more satisfying than a good volley when you’re playing ping pong. And the more you play, the better you get. Just like writing...the more you write, the better your work will be. Competition: Lately I’ve been learning how to return curve balls in my ping pong game. I know that if I don’t, I’ll start losing. Competition, even with yourself, helps in your writing life too. If it weren’t for the12x12 challenge, PiBoIdMo, ReViMo,and ReFoReMo, I wouldn’t have many of my stories written. 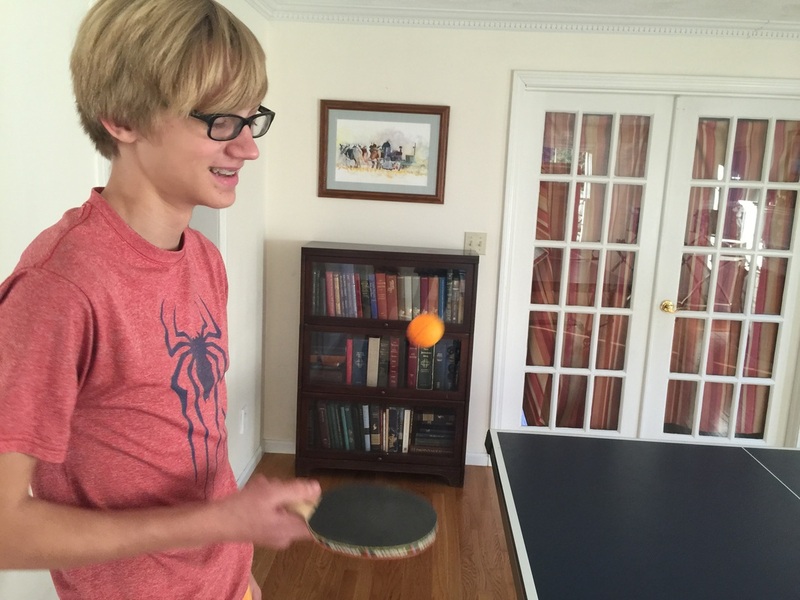 Flexibility: Sometimes someone surprises you by hitting a ping pong ball on the very edge of the table. Sometimes you have to move in ways you never thought possible in order to return the ball to the other side of the table. Flexibility is key for writing too. We have to be willing to let a story evolve and to revise over and over and over again. It’s flexibility that makes an incredible story possible. What helps you improve your writing skills? *This was originally posted on Children's Book Academy. 2.Carry a notebook or smart phone with you at all times: Strong winds will carry your ideas away, so write them down immediately! Even if you can’t write hundreds of words a day, writing even one word a day can be inspiring (see PiBoIdMo). If you have a way to record your ideas when they come, you’ll get more writing done! My little pink notebook accompanies me everywhere. 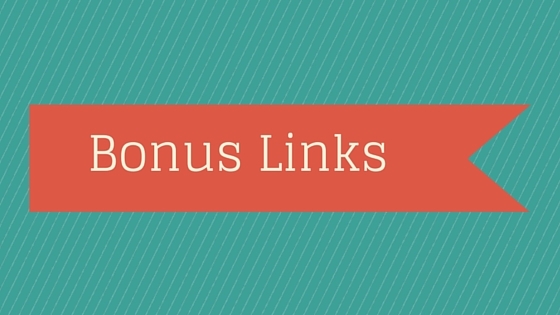 To read the rest of this post, go to Writer's Rumpus. November is a big month for writers. It’s National Novel Writing Month or (NaNoWriMo). And for those of us who write picture books? This month is Picture Book Idea Month or (PiBoIdMo). The challenge is to think of one picture book idea a day. Daunting? Yes! But not nearly as daunting as writing an entire 50,000 word novel in one month. Tara Lazar, the founder of PiBoIdMo, told me that nearly 1800 people registered for PiBoIdMo this year. As a community we’re coming up with a bazillion ideas! This is my 3rd year participating in this challenge and sometimes I feel like every idea is a bust. A sun with a fever? A tire that gets car sick? Who would want to read about A leaf that is scared of falling off the tree? But as Josh Funk emphasized in his PiBoIdMo post, sometimes it’s the most terrible ideas that make the best books! Here are 3 ways to get your ideas flowing. Think about your childhood. Try to remember what you liked as a child, experiences you had, games you loved to play etc. These are great fodder for amazing stories! See above, a picture of 5 year old me, most likely contemplating my next story idea. Observe the children in your life. I get most of my ideas from my 5 kids. The Raindrop Who Couldn’t Fall wouldn’t exist if my children hadn’t felt bored at Home Depot on a rainy day. And when my kindergartener started wearing bow ties every day last week, I knew there was a story waiting to be told. To read more of this post, go to Children's Book Academy. Review of The Not Very Merry Pout-Pout Fish, by Deborah Diesen plus GIVEAWAY! I grew up making hand crafted gifts for loved one. After sharing this with my kids, The Not Very Merry Pout Pout Fish, written by Deborah Diesen and illustrated by Dan Hanna arrived in the mail. Its arrival could not have been more timely. I had just encouraged my kids to make gifts for Christmas instead of spending money, and reading this book reinforced my point. Gifts from the heart are always the best. In a commercial world, this delightful story encourages creativity and giving the kinds of gifts that really matter. Mr. Fish’s attempt to buy gifts is filled with obstacles and he feels glum until Miss Shimmer’s optimism helps him see that making gifts will solve his problem. The message of creativity, giving gifts from the heart, and friendship are strengthened with inviting illustrations and interesting details on each page. 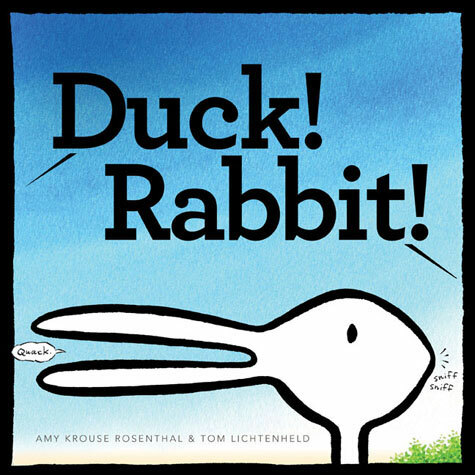 The rollicking rhyme and repeating refrain helps kids engage and remember the message. “For his gifts were big. And his gifts were be bright. And they all brought delight! We’ll be reading this book again as we try to give the best gifts this Holiday season! Do you know of any other children’s books that encourage homemade gifts? To enter the giveaway, go to Writers Rumpus, here! 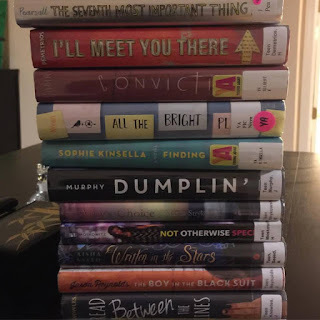 Amy’s 2015 books, I Wish You More, Friendshape, and Little Miss, Big Sisare evidence of her ability to write about things that matter in a way that kids understand. Amy’s use of anthropomorphism, wordplay, and the unexpected make her books great mentor text for any picture book writer. Anthropomorphism: Amy does a wonderful job of making inanimate objects come alive. Exclamation Markchronicles the life of an exclamation mark who doesn’t fit in until he figures out who he is. Spoon and Chopsticks’ messages are similar; you need to be ok with who you are, but also stick together. To read more of this post, go to ReFoReMo. Can you tell what I am? No way. 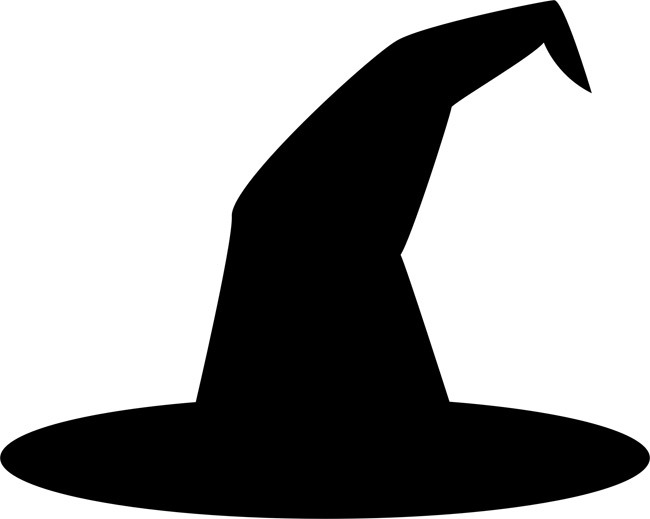 I’m not a witch! But I’m not a witch! Do you have any hats? Do you have any boots? Do you have a broom? You’re not? Neither am I. Maybe it’s too dark for you to see my costume. What? My house looks haunted? Thanks. I try really hard. I’m a little girl just like you. To read the rest of this post, go to ReFoReMo. Halloween is always a good excuse for creativity at my house. Each costume is conceived and created by the kids themselves. Now that my kids are older, they make their costumes with very little help from me. My 12 year old daughter, Naomi, made a diction-fairy costume with the help of a $1 dictionary, poster board and a glue gun. I've never been thrilled about the candy part of Halloween, so when I saw author Julie Falatko's post on Facebook about her Halloween tradition to hand out books, I immediately started planning my own reading and treating! Our local library had a book sale a couple of weeks ago and I scored 175 board books, picture books, chapter books, MG novels and YA novels. In the last 10 days I’ve read 15 YA books and as a YA CYBILS award panelist, I’ll be reading dozens more within the next couple of months. Immersing myself in YA fiction has reminded me of why YA really matters. YA books evoke emotion, show how choices affect lives, and build empathy. 1. Good YA fiction evokes emotion. The Seventh Most Important Thing by Shelley Pearsall surprised me with its depth. Beautifully written, moving, and poignant, this book powerfully demonstrates how helping other people changes you. Arthur is an authentic 13 year old grieving the death of his father. After he commits a crime, he’s offered true redemption. I needed tissues for this one, folks! Finding Audrey by Sophie Kinsella was so funny that I laughed out loud and found myself reading parts of it to my teenage kids. The book is hilarious, yet poignant. The family relationships are quirky yet authentic at the same time. Audrey’s anxiety and depression are realistically portrayed–and even the therapy is legitimate (I’m a marriage and family therapist). I love Audrey’s journey to health and how she learns to cope with her anxious thoughts and interact with people. 2. Good YA fiction shows the ramifications of choices. Dumplin‘ by Julie Murphy is beautifully written, poignant and thought provoking. Willowdeam is the kind of MC I’d like to be friends with. She’s honest, confident, she cares about others and her choices change her relationships over the course of the book in a way that is both surprising and satisfying. Everything that Makes You by Moriah McStay shows how the smallest choices matter in two parallel universes; one where Fiona has an accident and facial scars and one where the accident never happened. I really enjoyed both universes–Fiona and Fi are distinct people and the idea of how different your life can be because of one choice is something this book demonstrates very well. 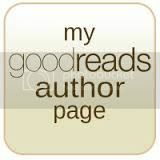 The characters are well written, the relationships complex and authentic. Sibling, parental and friendship relationships are explored in a realistic way. To read more of this post, go to Writer's Rumpus. To read more of this post go to ReFoReMo, here. Clearly, Aaron’s picture books make an impact and his versatility makes him a great author to study. Aaron’s use of humor, the unexpected, and lyrical language make his books incredible mentor texts to learn from.Humor: Aaron masterfully writes stories that not only make us laugh, but also subtly teach. 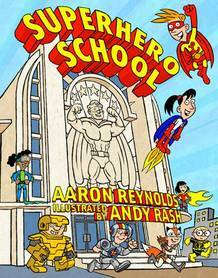 Superhero School is fun to read and yet definitely makes a point about the importance of math. 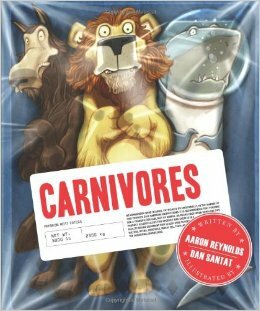 Carnivores teaches about animals hilariously, in a way that makes us empathize with the carnivores even after they eat each other. Chicks and Salsamakes us laugh as the barnyard animals yearn for and learn how to make southwestern food. Pirates vs. Cowboyscomical story shows us that we have something in common with everyone--even if it’s body odor! The Unexpected: Aaron’s stories surprise us. In Creepy Carrots, the carrots get the best the bunny in the end. Buffalo Wings stars a rooster chef who wants to make buffalo wings, but doesn’t realize they are made of chicken! Aaron’s rhyming story, Snowbots, pairs two unlikely things, (snow and robots) into a wonderful rollicking story. Here Comes Destructosaurus! depicts a tantruming monster who really is just looking for his teddy bear.Nerdy Birdy surprises us with how nerds can sometimes be just as exclusive as the popular kids. To read more of this post, go to ReFoReMo blog, here. If you follow this series, you will probably remember other episodes featuring the Call family. Kirsti has also collaborated with daughters, Naomi and Sydney. Every time I prepare a Call family post, I’m delighted. It’s evident that creativity is embraced and encouraged in this household. From Kirsti: Sophia made an entire series of these trees (6 separate pieces), but we chose three of them for this collaboration. And a special treat. The Call family is musically talented and today we get to hear a song from Sophia. She is singing with her older sister Sydney. Many thanks to Sophia and Kirsti for sharing their talents with us today. 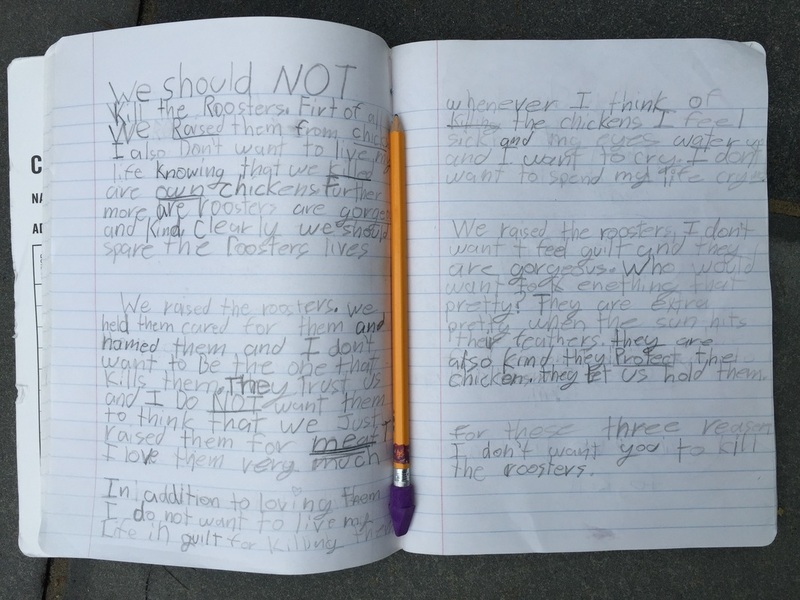 Meet Sophia: Sophia Call is a 7 year old artist, writer, singer and book lover. 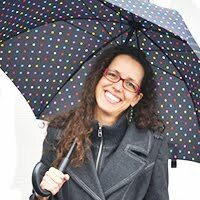 Meet Kirsti: Kirsti Call is a homeschooling mom of five. 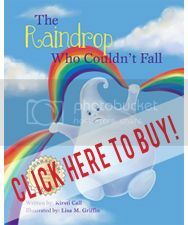 Her debut picture book, The Raindrop Who Couldn’t Fall, came out December 2013. Her family band, Calling Out, plays songs written by her children. She contributes to Writer’s Rumpus, and Kids are Writers. If you visit her house, you’ll likely find her reading. You can find out more about her at www.kirsticall.com or on Facebook or Twitter. I'm thrilled to be a panelist for the YA fiction CYBILS award (see the official announcement ). The mission of the CYBILS is "to recognize the children’s and young adult authors and illustrators whose books combine the highest literary merit and popular appeal". Nominations for your favorite YA books will be open to the public, October 1-15! So if you have a favorite book of any genre, go here to nominate! I'm excited to work with this group of panelists who have a wealth of knowledge about YA books and a passion for reading! Sydney and I were featured on Penny Parker Klostermann's Blog! I have another special treat. Calling Out is the Call family band. Today we have the privilege of hearing Sydney sing a song she wrote when she was only 6 years old. She wrote the song after being bullied and it packs a powerful message. You can read more about it HERE. And notice that Mom is on guitar! Many thanks to Kirsti and Sydney for sharing their talents with us today. Meet Sydney: Sydney Call is an 9 year old artist, greek mythology enthusiast and backyard chicken farmer. 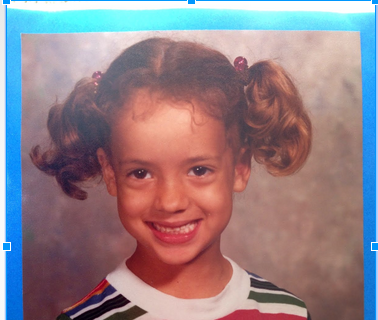 When she was 6, she wrote asong that sparked the creation of the family band, Calling Out. She plays the guitar and has read the entire Percy Jackson series at last 5 times.